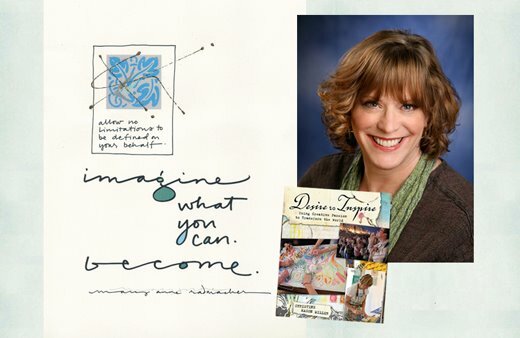 I am thrilled to announce I am on the roster of twenty contributors to Desire to Inspire: Using Creative Passion to Transform the World by Christine Mason Miller. In Desire to Inspire, readers will be introduced to twenty extraordinary women - writers, artists and entrepreneurs - all of whom share a unique example of how they create a meaningful life and, in turn, make a positive impact on the world. The stories and examples explore the roots of their desire to inspire and how they manage to pursue their passions in the midst of all the twists and turns life has given them. In addition to a beautiful collection of quotes, stories, and anecdotes, readers are given substantive, encouraging exercises aimed at supporting their own journey towards a meaningful, mindful life.